It was the best of Sundays, it was the worst of Sundays. Waking up to bacon, cinnamon rolls and fresh-brewed coffee in bed is never a bad thing, especially when the hearty meal accompanies a day chock full of championship sports. The NHL and NBA playoffs were kicking into gear and a guy named Tiger Woods loomed large in the biggest golf tournament of them all. The final grouping at Augusta teed off earlier than normal on Sunday. Inclement weather had Augusta National officials scrambling to ensure the round would be completed. The pairings, grouped into three instead of the traditional two, teed off in the morning instead of the afternoon to avoid a storm that never arrived. As it turns out, Lightning not showing up would be the theme of the day. Tiger Woods shook up the world on Sunday by winning his fifth Masters. He now ranks only one behind Arnold Palmer for green jackets won. The man whose fall from grace thanks to break-ups and back surgeries finally found his way, once again reminding us he’s one of the most dominant and captivating athletes our generation has ever known. The cult of personality rings strong with Mr. Woods. Down by four strokes to start the day, golfer after golfer folded under the pressure of a Sunday afternoon at Augusta. Five out of the final six golfers in contention all put their tee shots into the water at the par-three 12th. Tiger was the only one in the final two groups to par the hole. He would then birdie 13, 15 and 16 to win the tournament and the $2 million purse. As he walked off the 18th green, victorious at Augusta once again, hugging his family as he had done so many years before, there wasn’t a person in the crowd who wasn’t shouting “Tiger” in unison with the rest. It was hard to hold back the tears. Tiger had come from four strokes down to beat the normally unflappable Francisco Molinari and the abnormally svelte Brooks Koepka, both Major winners since the last time Tiger topped the charts. It had eleven years since his last Major title and fourteen years since his last win at Augusta. 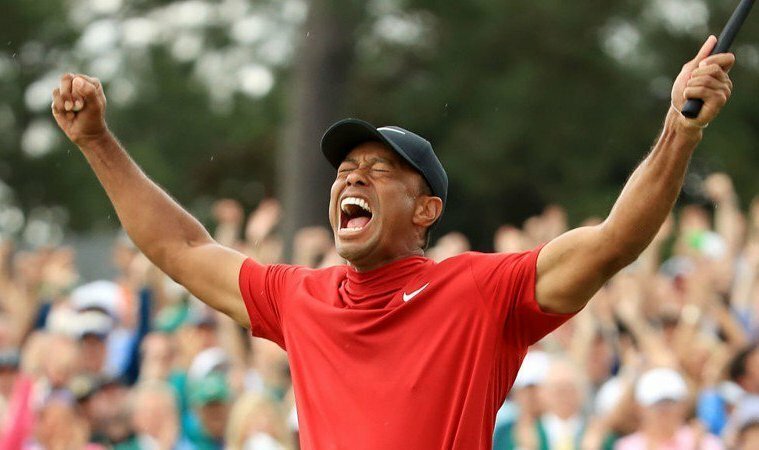 Those of us who watched Tiger dominate over the years thought this might never happen again but those of us who doubt greatness generally end up wrong. There’s another team that reached greatness this year that, like Tiger, is attempting to accomplish something it hasn’t in over a decade. The Tampa Bay Lightning had a record-setting regular season, putting a strong emphasis on regular. This particular Bolts team, always bridesmaids and never brides, tied the Detroit Red Wings all-time regular reason win total with 62. All things considered it was quite the season. As it stands right now, it’s a season that might end far sooner than anyone thought. When the playoffs started, the Lightning were slated to play against a team that barely made the post-season, the Columbus Blue Jackets, and against a coach who knows this franchise well for he once won a Stanley Cup here. John Tortorella is currently making Tampa as miserable in 2019 as he did cheerful in 2004, by pushing the Lightning one loss away from being swept out of the playoffs. Such an outcome was unthinkable less than a week ago when the Lightning went up to a 3-0 in Game One. They have been outscored 12-2 since. This team needs a time machine with a flux capacitor stat! The team that led the NHL in essentially every offensive category is being beat to the puck at every venture and is being manhandled as all those outside the area warned would happen. Down three games to none, Tampa fans are once again facing a reality they feared to be true, that this team is made for the regular season and not for the playoffs. A storm cloud hangs over the bay area with unfortunately no Lightning in sight. One more loss would be far more devastating than all others for expectations this season were higher than ever. After another shocking loss, it was once again hard to hold back the tears. This team remains sixteen wins from a Stanley Cup and one loss away from being a punch line. For Tampa fans, it is the worst of times indeed. This entry was posted in Featured, Ice, Tee Box and tagged Augusta National, Columbus Blue Jackets, John Tortorella, Masters, NHL Playoffs, PGA, Stanley Cup, Tampa Bay Lightning, Tiger Woods by Chris Humpherys. Bookmark the permalink. The worst of times, because we are too accustomed to the Lightning overachieving in the playoffs. The statement “this team is made for the regular season and not for the playoffs” is a lot more applicable to many other teams in all four professional sports leagues. I’m guessing that Eddie didn’t contribute to this article, because he knows that it’s far more applicable to Dallas Cowboys and Atlanta Braves. The Lightning have appeared in four Eastern Conference finals within eight years. They made themselves look legitimate by returning to the Stanley Cup Finals. This postseason has been just as shocking as 2015 and 2016, when a bunch of Eastern Conference teams failed against Tampa Bay. This season’s Lightning team had already proven that they would fail. Do you not know that Toronto’s game in Tampa was a terrible performance? Or that they totally ran out of energy in one of the games at Boston? Or that their performance in their game at St. Louis was just as pathetic as these playoff games? Or that they got blown out in the last game against the Capitals? This year’s Lightning team only won the games that they were expected to win. If the four games that I mentioned had been any earlier in the regular season, everyone would have paid attention to that fact.